This course will equip you with fundamental business skills, and will introduce you to the administration and management skills that are essential for project management. This is a non-accredited Short Learning Programme. Students are required to complete 2 assignments per subject. There are no exams for this course. Upon completion of this course, students will be awarded an Oxbridge Academy Skills Certificate: Project Management from Oxbridge Academy. Distance learning, also known as correspondence education or home study, is a form of education where there is little or no face-to-face interaction between students and their instructors. Distance learning students usually study from home, instead of attending physical classes. 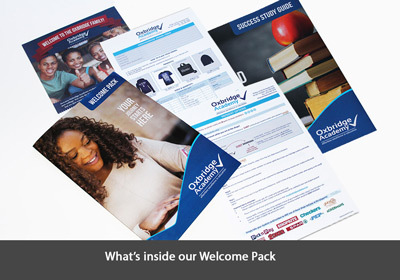 Study material is delivered to students via post, courier, email, or the internet. Assessments are carried out by means of written assignments, exams, and/or portfolios of evidence. Academic support is provided to students through various channels, including telephone, post, email, and instant messaging programs. Thank you Oxbridge Academy for giving me this opportunity to learn more about administration. I improved my specialities and gained more skills, now I can express myself to other posts. Thanks for your support.